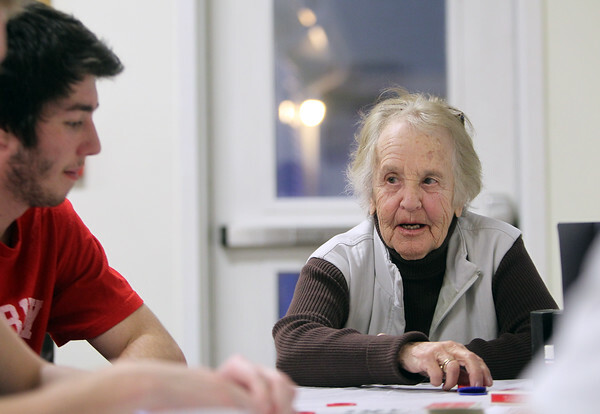 Yvette Fleming, of Beverly, plays poker with Endicott College student Alessandro Calzone, at the Beverly Senior Center on Board Game Night. DAVID LE/Staff Photo. 11/20/14.